As more shoppers turn to their smartphones for higher retail convenience, isn’t it time you delivered them coupons, offers, gift certificates and loyalty cards – digitally? iVend Passes is a cloud-based application for mobile marketing. Send passes that can be stored in the native digital wallet on a smartphone – like Apple Wallet or Android Pay – to be redeemed at any point of sale. 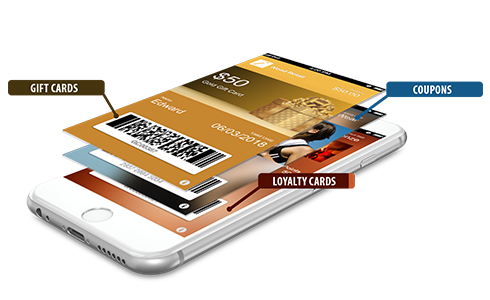 Send Loyalty Cards, Coupons, Tickets, Gift Cards, Membership Cards, Sales Updates, Offers and geolocation-specific Communications. Available on iOS or Android mobile devices, iVend Passes helps retailers offer targeted and relevant digital offers without the hassle of a custom mobile application. iVend Passes seamlessly integrates with the iVend Retail management suite or can be used with any existing POS system via open APIs. Works on any iOS or Android device with native wallet App. iVend Passes is a platform for retailers to deploy digital coupons, cards and offers on iOS and Android devices. Watch this short video to learn why to say goodbye to plastic gift cards & loyalty cards and hello to better customer engagement.